Self-Installing Terminal to be Developed by Isotropic Systems and Quika Ltd.
Isotropic Systems has formed a strategic partnership with Quika Ltd. to develop self-installing, all electronic scanning terminals for the world’s first entirely free high-speed satellite Internet for consumers. Quika, a high-throughput Ka-band satellite network operator, and Isotropic Systems will jointly develop an ‘out of the box’ consumer web experience that eliminates the need for skilled installation, and allows internet usage to be fully subsidized by advertising. The partnership with Isotropic Systems demonstrates Quika’s understanding that disruptive terminal technology and user economics are paramount for the markets it will serve. Isotropic Systems optical technology will enable terminals that meet or exceed traditional very small aperture terminals (VSAT) at one-tenth the cost of current VSAT, making a low-maintenance, self-installing, out of the box experience a reality. Quika and Isotropic Systems will work together to develop terminals specifically tailored to Quika’s requirements to support the fully subsidized service. The core transformational optics technology mitigates several key engineering challenges to deliver seamless auto tracking, unlimited instantaneous bandwidth through true time delay, and a 90% reduction in power consumption over conventional design. Isotropic Systems’ technology automatically tunes the beam-pointing to maintain the precise accuracy over time that is uniquely needed for Ka-band systems to optimize the efficiency of the links in the service provider's network. According to John Finney, the Founder and CEO of Isotropic Systems, studies still show that a huge number of people do not have access to connectivity, with consulting firm NSR estimating the addressable market at more than 470 million households worldwide,. Isotropic's unique technical capabilities and disruptive pricing will finally allow satellite communications to unlock the latent demand for HTS capacity for consumer segments that require a significantly low barrier to entry. Having gained the confidence of this unique satellite provider reinforces our vision of satisfying the demand for satellite broadband services by significantly reducing the cost of existing ground terminals to support subsidized models like the one Quika has created. 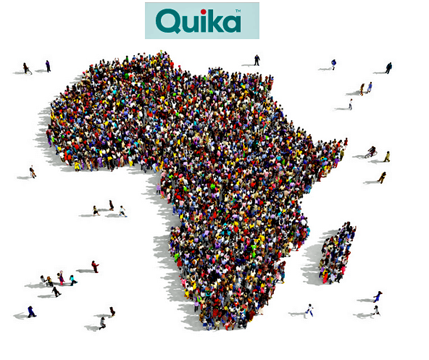 Alan Afrasiab, the Founder and Chairman of Quika and CEO of Talia Limited, said that Quika wants to deliver high-throughput connectivity to serve customers across the developing world where the lack of internet infrastructure continue to expand the inequalities between regions. The company's work with Isotropic Systems and other technology providers will help bridge the digital divide more quickly and increase Internet adoption worldwide.